A POTENTIAL PLAY-OFF between rugby champions of the nothern hemisphere and their counterparts in the south has drawn closer if reports in French rugby site, Midi-Olympique, are to be believed. MO today reports that Sunday, 2 February 2014 has been put forward as a potential date for Heineken Cup champions Toulon to face off against Super XV winners, Waikato Chiefs. The date falls before the beginning of the new Super Rugby season and within a break in the Top 14. However, not only does the date fall within the Six Nations, but it coincides with Ireland’s Championship opener at home to Scotland. Naturally, two venues on the Côte d’Azur have been listed as potential sites for the ‘World Cup of Clubs’, though no agreement has been reached by the ERC. Previously termed ‘an impossible prooject’ by jean-Pierre Lux, the game (even with less than perfect timing at the outset) could pave the way for a regular north v south play-off. If that were to come to pass, who would you like to see your province play? Connacht v Crusaders? Michael Cheika returning to face Leinster again? Mark Anscombe plotting against his own son? Or what about Munster heading down to the Highveld to take on the Bulls? Email “Toulon v Chiefs? February date reported for potential rugby 'World Cup of Clubs'”. 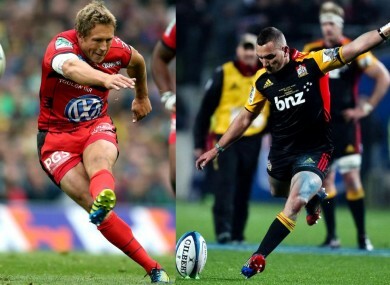 Feedback on “Toulon v Chiefs? February date reported for potential rugby 'World Cup of Clubs'”.